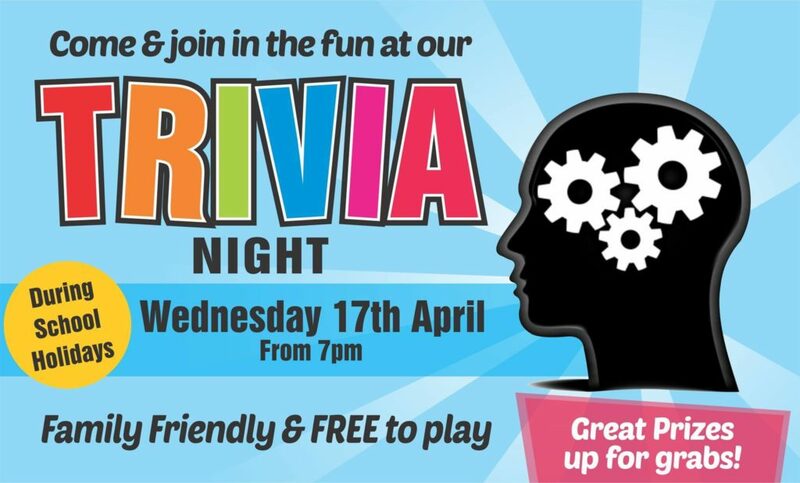 FREE FAMILY TRIVIA NIGHT is back at the Club this School Holidays. Who doesn’t love Trivia? It’s a great way to spend an evening. It’s all run on our BIG SCREEN – with great prizes up for grabs. It’ll be so much fun for the whole family, suitable for 7 years & up. Snacks will be available to purchase, no need to book just turn up on the night.